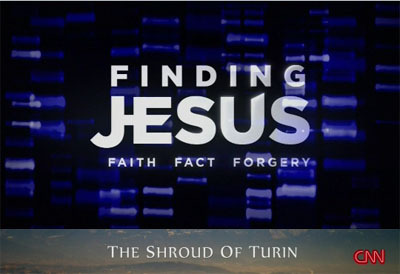 The first episode of the new CNN Series “Finding Jesus – Faith Fact Forgery” uses selective evidence to support the unwarranted conclusion that the Shroud of Turin is a forgery. … or is it a forgery? Based on the title, the producers want to draw a sharp line of demarcation between what is faith (that which science can neither affirm nor deny); what is fact, and what is unwarranted faith (that which science can attempt to either affirm or deny and if denied, declare a “forgery” or false). Based on the first episode, the producers want to remove any scientific basis for faith – even when such evidence is overwhelming. This is clearly the case because of the wealth of evidence that exists concerning the authenticity of the well studied, well researched Shroud that the producers chose to ignore. I say chose to ignore, because as producers of a documentary on the well known relic, they are responsible for being aware of such public domain information and should surely know about these evidences which contradict their theories. And if they don’t know, they are not qualified to be doing a documentary on it. This first episode (and thus presumably the rest of the series) is clearly biased against evidence that confirms the veracity of Christian claims. In an apparent effort to cover their bias, the documentary is overall respectful of the faith – providing a traditional retelling of the events leading up to the burial of Jesus. In my previous article Physical Evidence Jesus Existed I list 6 evidences of authenticity for the Shroud; 3 of which are not mentioned in the documentary, the others are either ignored or outright denied. Below is further exposition and clarification on some of those evidences, and the addition of new evidence from an effort to date the Shroud apart from Carbon dating. Obviously a documentary cannot be expected to present every piece of evidence, but certainly some of the well established evidences – especially those which contradicts your proposed theory – should be presented – if the goal is to present a fair and balanced piece of journalism. Of course if you’re not interested in fair and balanced reporting, then liberal usage of the fallacy of suppressed evidence is a viable course, and the route which they have obviously chosen for this episode, and presumably the series. 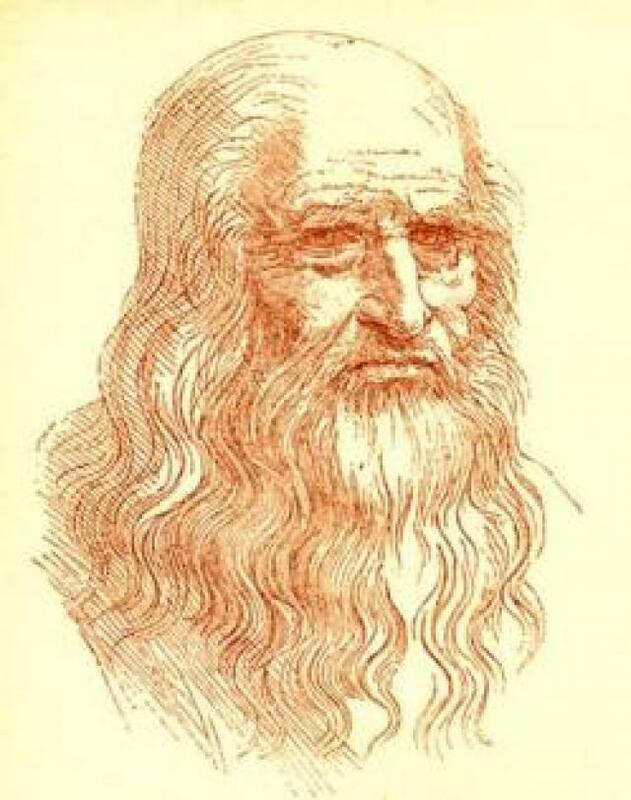 Tests with 2 dimensional images when analyzed by the VP-8 return either noise (useless information – no picture at all) as did a line drawing (self portrait)of Leonardo da Vinci; or incorrect depth information (as did a modern picture of a face). The 3 dimensionality of the Shroud image and the fact that no other photographs from the carbon 14 determined time period (14th century) exist, make this theory of the Shroud as a medieval photograph laughable. Professor Allen claims the Shroud is essentially the earliest known photo. Examination of the Shroud has determined that some of the stains in Shroud are blood stains. Since a photograph would not result in actual blood stains, which Allen acknowledges, to account for them he suggests the blood was painted on after the photo was taken. But there are problems with that theory that he and the producers are either unaware of, or elected not to present. “When someone is tortured, as the Bible tells us Jesus was during his crucifixion, red blood cell walls are ruptured releasing hemoglobin into the body. The hemoglobin is quickly broken down, creating high levels of bilirubin, and the wounds begin to clot. Additionally serum (the liquid component of blood) stains which were invisible to the naked eye, were revealed under ultraviolet florescent photography. 4. The blood, serum and bilirubin stains on the Shroud were real. How would a 13th century painter produce components of blood he didn’t know existed? These are questions professor Allen either can’t answer, or didn’t consider. Either way the documentary doesn’t explore any of the evidence from the blood that professor Allen claims was painted on by a medieval forger. Clearly neither he nor the producers thought that one through. Research has shown the weight of the body can’t be supported by nails there. You’ll note in most early depictions of the crucifixion (see here), the nails are through the hands, not through wrists as depicted in the Shroud. Why would a medieval photographer creating a fake vary from the expected depiction and risk rejection of his work as a forgery for what would be considered an obvious mistake? Again, how would a medieval forger know this? The CNN special didn’t bother to mention that the dark splotches on the Shroud are due to damage from a fire in 1532 at the Chapel in the Alps where the Shroud was being stored. Subsequent to the fire, a repair was made in France with a technique called invisible re-weaving. Independent researchers Sue Benford and her husband Joe Marino examined photos from the 1978 STRP analysis. They noted the herringbone weave of the Shroud from where the sample was taken for Carbon 14 dating is misaligned. Based on this they suspected the sample given for Carbon dating was from a section of the Shroud repaired with 16th century cloth after the fire. It was mixed with the original cloth via a technique called French re-weaving – which is invisible to the naked eye.8 Thus the Shroud sample that was tested was a contaminated one, causing the carbon dating to be grossly inaccurate. But this powerful, conclusive evidence contradicts the medieval date – and the idea of a medieval painting, and so the produces elected to exclude this critical piece of evidence. Giulio Fanti, a professor of engineering at University of Padua also suspected the Carbon 14 Dating was incorrect due to a contaminated sample. With approval from the Vatican (the guardian of the Shroud), he was supplied with a fiber which he hoped would be from a non-contaminated part of the Shroud to perform date testing. Using methods other than Carbon 14 dating, he dated the fiber. He used three different tests -a Load bearing test, and two tests using an infrared spectrometer and a laser. Fanti came up with an age of the linen cloth of 33 BC.10 This means the Shroud is old enough to be in existence when Jesus was crucified around 30 AD. And that date has been proved to be in error, skewed by a contaminated sample. 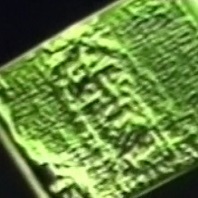 But this evidence is not much help, because they go on to state that carbon dating on the Sudarium is inconclusive, and the earliest record they have, places the Sudarium in Jerusalem 500 years after the death of Jesus, which makes it 700 years older than the Shroud, but not nearly close enough to the crucifixion (c. 30 AD) to draw conclusions about the authenticity of either one. So it’s a bone to chew on, while the meat of the evidence above is kept hidden. This concurs with what original Shroud Researcher and STRP member Ray Rogers determined. 9 Ray Rogers sent a sample to Bob Villarreal of the Los Alamos Laboratory. Villarreal confirmed the sample contained 2 separate threads held together by a mordant – a substance used to set dyes. This provided proof positive the sample used for Carbon dating was contaminated, containing both the original un-dyed Linen fiber, and a dyed cotton fiber, woven together with French re-weaving as Benford and Marino had proposed. This entry was posted in Crucifixion, Evidence, Jesus The Messiah, Miracles, Resurrection, Reviews, Shroud of Turin by Duane Caldwell. Bookmark the permalink.